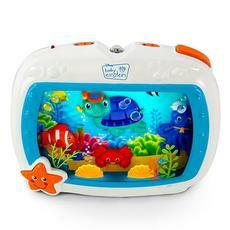 Soft lights and 25 plus minutes of classical music will soothe baby to sleep with the Sea Dreams Soother. 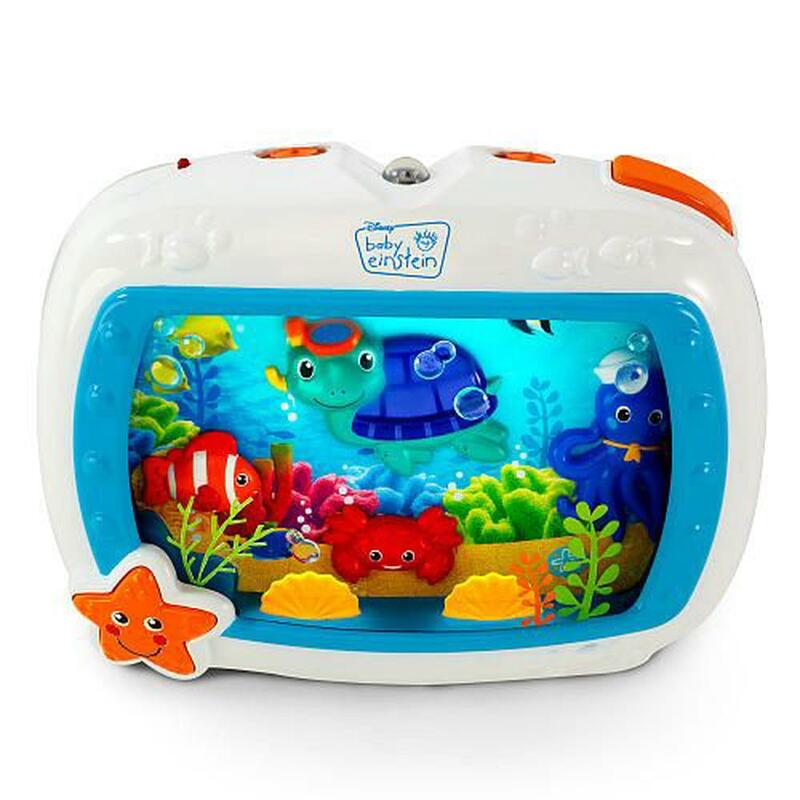 The unique underwater light effect, motion of the baby Neptune characters, and real life imagery will help calm baby. The unique drift off feature gradually softens music every 10 minutes to help baby fall asleep. There are 4 soothing modes: melodies lights motion, melodies only, ocean sounds lights motion, and ocean sounds only. The universal perfect fit crib attachment allows it to fit most crib rails and the soother can also be used bedside for toddlers. Absolutely love this! My baby enjoys watching the aquarium animals move and prefers the ocean sounds over the nursery rhymes. Super cute and my baby loves it!